Like a great number of Tunisians — unemployed and unable to find a decent means of supporting his family — Mohammad Bouazizi was naturally an angry man. He decided to sell fruits and vegetables from a cart in his rural town of Sidi Bouzid. He didn't have a licence. Police came on that fateful day of December 17 and confiscated his cart, his only remaining lifeline. He had by then had it. He set himself on fire outside the local governor's office. In few hours, his town-people were walking the streets demanding regime change. The rest is history. 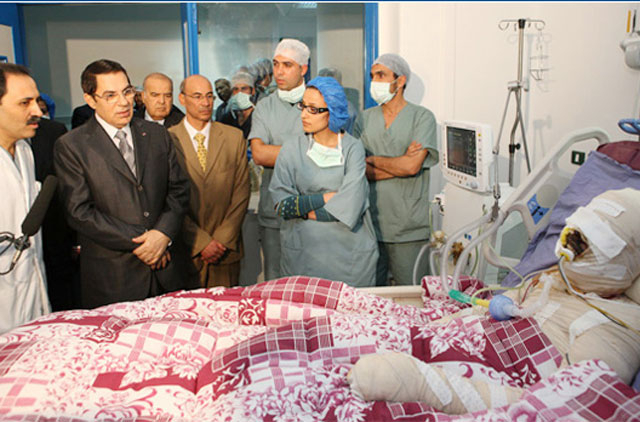 Bouazizi will go down in Arab history books as the man who defied, and eventually toppled, an iron-fisted regime which ruled Tunisia for more two decades. His name will remain with us for long years to come. But unfortunately he is not alone. Millions are just waiting to be another Bouazizi in countless Arab towns and cities, especially in the republics that were created in the post-colonial Arab world. Plagued by under-development and financial and administrative mismanagement, these republics have become the centre of Arab anger and the cause of frustration. These regimes need today to look at the Tunisia developments carefully and learn lessons. The promises of reforms must be fulfilled. Today, the Arabs proved, live on TV and online social media, that they can give ample chances to their governments. But eventually will come a day when they take their officials to task. The joy on the Arab streets cannot be overestimated or ignored. The past two days are a turning point in the history of this region. Many say the Arab world will never be the same. It shouldn't. The world is changing. And Arab states have to develop their income sources, education systems, accountability and start listening to their people.